Gillette has recently launch its Limited Edition Brazil Razor featuring the flag of Brazil on 2 of it's razor products namely the Gillette Fusion ProGlide and the Gillette Mach3 Razor. When it comes to football, nothing else matters for their fans hence with the new Limited Edition Brazil Razors, they can show their daily affirmation of standing proudly behind their teams that they support - wearing their colors on the outside and their inner steel within. 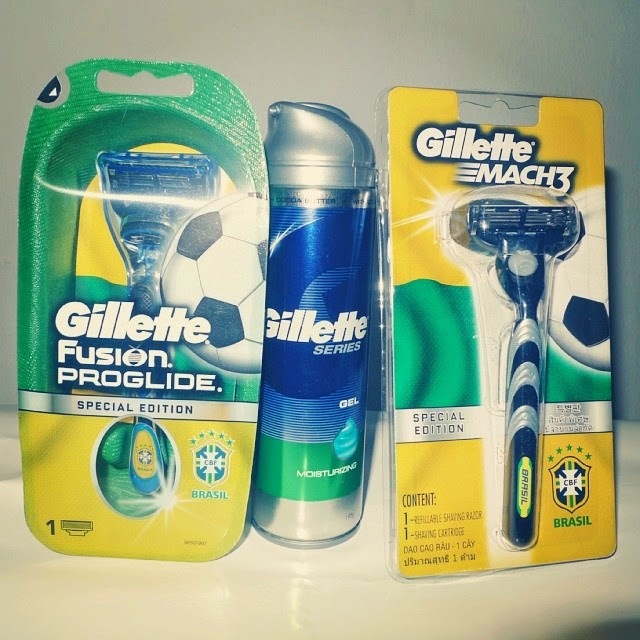 Recently, Gillette ran a contest called "Are You a True Brazil Fan?" from 1st of April till 15th of May 2014 where football fans can stand a chance to win a once in a lifetime all-expenses paid trip to Brazil. The contest winner will be flown to Brazil to watch a friendly match between Brazil and Serbia, take in a tour of the Football Museum and experience São Paulo first hand. The contestants participated by purchasing the Limited Edition Gillette Brazil Razor (Mach3 or ProGlide) via Tesco's e-shop or in any of the Tesco stores in Malaysia and then submitted via online. Now with anticipation, the contestants wait with bated breath to collect their prizes at the prize-giving ceremony this Friday night, 23rd of May at Tesco, Mutiara Damansara. Rallying football fans to stand proudly behind team Brazil is football fanatic and actor Fahrin Ahmad. Fahrin Ahmad will also be present this Friday in the prize-giving ceremony at Tesco, Mutiara Damansara. "For Brazil Fans, myself included, the Gillette Brazil Razor is a great way to start our mornings, a daily reminder of technical perfection and skill from one of the world's top football teams and the world leader in the male shaving category. I can't imagine a more perfect prize for this contest, it is a dream come true for every Brazil fan to watch their team in action. In fact, I wish I could take part!" enthused Fahrin. The Gillette Fusion ProGlide Manual Razor is Gillette's most advanced blade ever. It has thinner, finer blades with a low-resistance coating to glide effortlessly through hair for less tug and pull providing incredible comfort, even for men who shave daily. 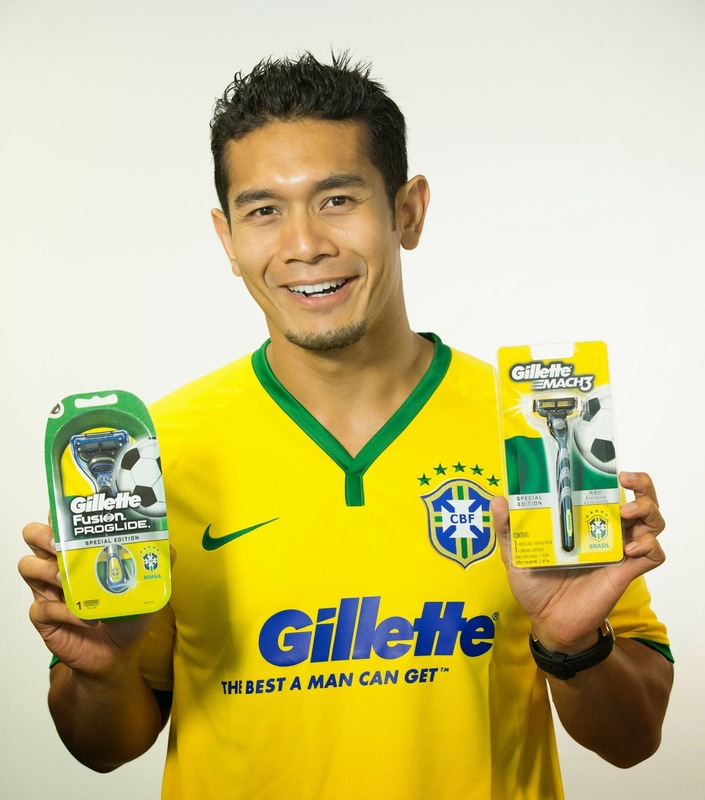 The Gillette ProGlide Razor Brazil Special Edition has a suggested retail price of RM30.90. As for the Gillette Mach3 Razor, it continues it's legacy of close shaves. Armed with its 3-blade technology and Comfort Guard with 5 Microfins, it ensures a close, comfortable shave - a trusted choice to give men around the world a great start to their day. The Gillette Mach3 Razor Brazil Special Edition has a suggested retail price of RM13.90.